The parliament building in Tunisia. A Tunisian court has sentenced 41 jihadists to death over an attack that killed 15 soldiers on the border with Algeria in 2014, prosecutors said Saturday. 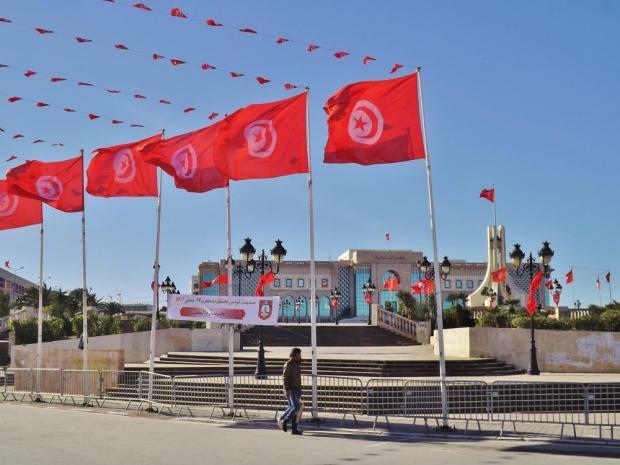 The sentences for the men, only two of whom are currently in custody, were delivered in the capital Tunis on Friday, spokesman Sofiene Sliti told AFP. The other 39 convicted remain at large, he said, adding that all of the those found guilty were linked to the Islamic State group. The gun and rocket launcher assault on army positions in July 2014 left 15 troops dead in the Mount Chaambi area of the western Kasserine region that remains a hideout for jihadists. The attack was the deadliest ever against the country's army. Tunisian armed forces have for the past six years carried out operations to track down wanted Islamists in the area, which was declared a closed military zone in 2014. Okba Ibn Nafaa, a Tunisia-based division of Al-Qaeda, is also present in the area.